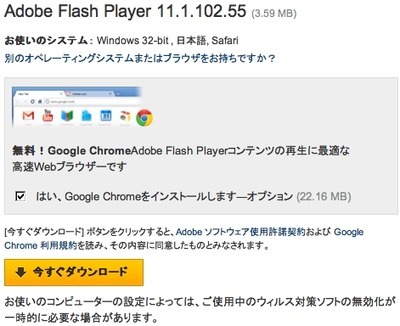 Adobe released security updates for Adobe Flash Player 11.2.202.233 and earlier versions for Windows, Macintosh and Linux, Adobe Flash Player 11.1.115.7 and earlier versions for Android 4.x, and Adobe Flash Player 11.1.111.8 and earlier versions for Android 3.x and 2.x. These updates address an object confusion vulnerability (CVE-2012-0779) that could cause the application to crash and potentially allow an attacker to take control of the affected system. Today, Flash Player powers popular social and casual games on the web that are each played by hundreds of millions of people and generate billions in revenue each year. It powers 9 in 10 of the top games on Facebook, many of the most popular web games in China and Japan, and inspired and acclaimed indie games. Flash Player is the game console for the web — the only technology that ensures a beautiful game can run consistently — without friction or fragmentation — on over a billion boxes around the world. Adobe MAX is here, and we’ve got a lot of news to share. Today we’re releasing Flash Player 11 and AIR 3 — you can download the release starting at 9:00 PM Pacific today. As we announced previously, there are lots of new features in Flash Player 11 and AIR 3, and one of the newest features that’s getting a lot of buzz is hardware accelerated 2D and 3D graphics rendering through Stage 3D, which will be available on Mac OS, Windows and connected televisions. It redefines what’s possible across the web.